It’s game day once again, it might just be me but it seemed like there was a mini off-season. The Rapids haven’t played a legit game since March 18th and with what the players and coaches are saying, we shouldn’t be too concerned with the gap in competitive play. A lot has happened since that last match against Minnesota United; in fact shortly after that draw the Rapids sent Sam Cronin and Marc Burch to MNUFC for two guys you might want to do your research on. Mohammed Saeid and Josh Gatt. Some may recall Gatt seen on a USMNT kit a few years back, but probably haven’t seen anything from him since. Then, when you look up his history and see three torn ACL’s, it’s hard to think he can stay healthy. Then again, he’s just 25 and if you’ve seen his interviews you know this kid has got an energy we haven’t seen. Is his positive attitude and willingness to chat a product of his injuries? No doubt it has some effect, but something tells me that his mentality and approach to the game is something we will all get to see… eventually. Mohammed Saeid was solid in C-Bus and seemed to be in Sweden as well. My thought was like for like with Cronin at first. Then a stat was mentioned; Cronin passed backwards nearly 60% of the time, that’s a problem when you are trying to create offense. One of the first things out of Saeid’s mouth in his interview on the Rapids website was “making forward passes”. Well now that says something about his mentality doesn’t it? Saeid says he wants to make forward passes, and Gatt says he wants to score goals. They are younger than the guys we let go, they make less per year and we’ve been told there is more to come… hopefully by May 8th. Slowly but surely the Rapids offense is improving and we can only hope that the little break gave the guys time to gel. 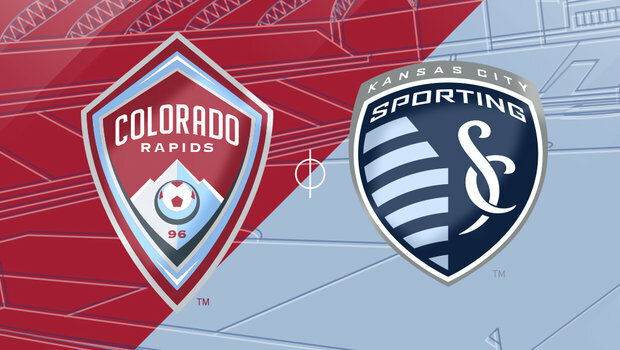 Today the Rapids face Sporting KC who, like the Rapids has not yet found their offense. Sporting KC has yet to lose, but with just one win and three ties they still sit above the Rapids in the standings. SKC also has just 2 goals for, meaning as of right now they have the worst offense in the league. Much like our beloved burgundy boys, SKC also has a solid defense allowing just one goal. So, sadly that makes for a good case to say Sporting KC the best defense. It is just 4-6 games into the season though. The Rapids have a 5 game winning streak going against Sporting KC dating back to August 2015. Although the series record favors SKC (23-22-13) Coach Pablo has been able to take care of business when it comes to playing our neighbors to the east. While the break did give some guys time to recover, the Rapids will still be without Axel Sjoberg. It’s likely that Shkelzen Gashi has been able to give his foot the rest it needed. He got his first goal of the year in KC last year, in April too. It’s doubtful that we will see either of the two new guys start, but it is very probable that Nana Boateng gets his first start. If you are looking for a place to catch the game, C38 will be at the Celtic Tavern kickoff is at 5pm. Drink specials and giveaways will be happening as well. Predicted starting XI: Tim Howard, Mekeil Williams, Jared Watts, Bobby Burling, Eric Miller, Nana Boateng, Michael Azira, Shkelzen Gashi, Kevin Doyle, Marlon Hairston, Dom Badji.